With security constraints, packing can become a logisitical nightmare. And, with so many gadgets on the market, it's tough to decide what to leave behind and what you can't leave without. In order to fit all of our must-have within the confines of our suitcase, we must pick and choose the items most important to us. Luckily, Inc. Magazine recently published an article online revealing what Inc. readers can't live without during business travel. Here is a sampling of their list. The iPad® is even more amazing now, with two cameras for FaceTime® and HD video recording, a dual-core A5 chip and 10-hour battery life, all in a thinner, lighter design. The notebook of choice for millions of users, the MacBook features a 13.3" glossy widescreen display, a 10-hour battery life, a glass multi-touch trackpad and a built-in webcam. It sports a 250GB hard disk drive and a 2.4GHz Intel Core 2 Duo processor. To ensure you never miss a moment, pack your digital camera along. 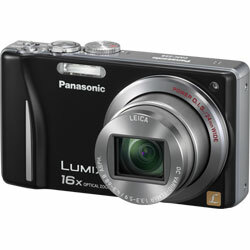 Try the Panasonic Lumix DMC-ZS8, a versatile camera with a 24mm ultra-wide angle and powerful 16x optical zoom. It features Intelligent Resolution Technology, which adds delicate detail that exceeds even optical image quality in both photo and move recording. By cushioning and supporting the neck and head, a travel pillow relaxes you and puts you at ease. Try the Ortho+Therapy™ Memory Foam Neck Pillow. What are some items that you can't live without while traveling? Leave a comment. Maybe we'll use your suggestions in a future Merch Monday post!